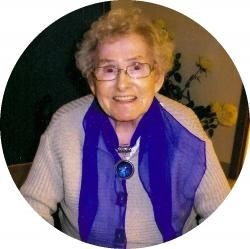 At Prince Edward Home on Saturday, October 22, 2011 of Margaret Patricia MacNevin formerly of Bonshaw, aged 84 years. Dear mother of Lloyd (Sandra) and Byron (Glenda). Lovingly remembered by her grandchildren and great-grandchildren. Mother-in-law of Doug Gillis and Esther MacNevin. Sister of Brian, Patrick and Stewart all of Ontario. Predeceased by her husband John A. MacNevin and by her children Victoria Newman (Wilfred), Janice Gillis and Gordon MacNevin and by her siblings Doris, Martin, Jimmy, Tom and Jackie. Resting at Belvedere Funeral Home from where the funeral will be held in the funeral home chapel on Tuesday at 2 pm. Interment in Argyle Shore Cemetery. Visitation Monday from 5-8 pm only. Memorial donations may be made to the Heart and Stroke Foundation. Royal Canadian Legion Branch #1 Charlottetown will conduct a Veteran's Tribute Service at the Belvedere Funeral Home at 4:45PM on Monday 24 October 2011. At Whisperwood Villa on Friday, December 30, 2011 of Andrew B. MacRae, Stratford, age 92 years. Dear father of Ian (Lee). Loving grandfather of Liane Gillis (Dan) and Dr. Andrew MacRae (Jamie) and great-grandfather to Colton and Tanner Gillis and Caden and Lachlyn MacRae. Brother of Jean Mitchell (Tom, deceased), Harold (Dorothy) and Anna Gibson (Lloyd, deceased). Predeceased by his wife Rena (Jay), by his parents Frederick and Annie (Boswall) MacRae and by his brothers Kenneth and Edwin (Mary, deceased). Resting at Belvedere Funeral Home from where the funeral will be held in the funeral home chapel on Wednesday at 10:30 a.m. Interment later in Floral Hills Memorial Gardens. Visitation Tuesday 4-6 p.m. Flowers gratefully declined. Memorial donations may be made to Pat and the Elephant, Zion Presbyterian Church or Queen Elizabeth Hospital. Peacefully at the QEH on Monday, June 3, 2013 with family by her side, of Etta MacSween (Standing), Resident of the Garden Home and formerly of Brookfield, in her 88th year. Veteran of WWII. Predeceased by her husband, Ian. She was the daughter of the late Thomas and Etta Standing of North Sydney, NS. Survived by sisters, Alma (Earle) of Ontario and Alice from North Sydney, NS. Sister-in-law of Trudy Standing. Lovingly remembered by her children Dave (Mary), Valerie, Jack, Lorne (Judy), Tammy (Stu). Grandmother of Jaime, Jason, Stefanie (Anthony), Natasha and Tyler (Kayla). Great Grandmother of London and Gray. Resting at the Belvedere Funeral Home for visitation on Wednesday, June 5, 2013 from 6-9 p.m. only. Funeral service to be held on Thursday, June 6, 2013, at 2 p.m. in the Funeral Home Chapel. Interment in PrincetownRoadCemetery. Family flowers only please. Donations to the Heart & Stroke Foundation or the QEH Foundation would be appreciated. Branch#1 of the Charlottetown Royal Canadian Legion will hold a service of remembrance from the funeral home on Wednesday at 5:30 pm. It is with deepest sorrow that we announce the passing of a dear father and cherished husband whose love and spirit will forever live in our hearts. As was his final wish, he was surrounded by family and passed away on Wednesday, November 6, 2013 peacefully at home in his 89th year. Lovingly remembered and sadly missed by Odella “Babe” (nee Ferguson), his wife and soul mate of 64 years; devoted and loving father of Charlene (George Nickels), Farley (Susan), Garth (Louise), and Heather (Joey Cairns). Vince’s legacy is his children. Cherished grandfather of 13; Warren, Jason, Kelly, Jeff, Tyler, James, Melissa, Amy, Cassidy, Colin, Brodie, Greg, Laura and 12 great-grandchildren. Lovingly remembered by his surviving brother Ray (Dora), and sisters-in-law Marie Mahar, Hilda Szalay, Thelma Misener, and Florence McNichol. He will be greatly missed by his many nieces and nephews. Predeceased by his parents, Herbert and Matilda Mahar, and brothers Bob, Reg, Lornie, Howard and Freeman. Vince was a proud WWII veteran and served as an Able Seaman (Gunnery Rating) from June 1942 to the war’s end and post war as well as a period of time in the Reserve Navy. He was employed with Canada Packers for 31 years until their closing. He will be forever remembered for his love and pride of his family and love of his home life and anything “Irish”. The humor, love and laughter he brought to our lives with his straight forwardness and quick wit, will be with us always. He nurtured his creative spirit throughout his life and took pleasure in being the family’s “Mr Fix-It”; expressing his love and talent through his many projects for family and friends. He could turn his hand to anything. He was our “walking dictionary” with the amazing ability to spell or know the meaning of any word presented to him. He loved to read and kept up with current events right up to the end. It is with great sadness that we bid him goodbye but he will forever be in our hearts and memories. The family would like to extend their deepest thanks fo the staff of Home Care and Palliative Care, Dr. Veer, and Dr. Don Clark, for providing such caring and compassionate support in his final days. Resting at the Hennessey Cutcliffe Charlottetown Funeral Home until Saturday morning, then transferred to St. Pius X Church for funeral mass at 10 a.m. Interment to follow in the Roman Catholic Cemetery, Charlottetown. In lieu of flowers, donations in Vince’s memory may be made to the Hospice Palliative Care Association of PEI or the PEI Cancer Treatment Centre. Branch #1 of the Royal Canadian Legion will hold a veteran’s tribute service at the funeral home on Friday evening at 5:45 p.m.
On this day, Monday, September 21, 2009, the family is sad to announce the death of Freeman Mahar, peacefully at the Palliative Care Unit of the Prince Edward Home, age 76 years. Beloved husband of the late Ethel “Dolly” Mahar and loving father of Pam (Mike), Herbie (Mary-Lynn), Darlene (Jade), Patsy (James), Theresa (Reg), Arthur (Heather), Mikie (Susan), Michele (Pat) and Margo (Alain). Freeman is also survived by several grandchildren and great-grandchildren; brothers Bob Mahar (Sadie deceased), Vincent Mahar (Babe) and Ray Mahar (Dora) and sister-in-law Marie Mahar. He was predeceased by his parents, Herbert and Matilda Mahar, brothers Reg, Lornie and Howard Mahar and his grandson, Jeffrey. Resting at Hillsboro Funeral Home, 2 Hollis Ave., Stratford, for visitation on Wednesday, September 23, 6-9 p.m. only. Funeral mass will be celebrated on Thursday, September 24 at St. Dunstan’s Basilica at a time to be announced. Interment will follow at the Roman Catholic Cemetery. As an expression of sympathy, memorial donations to the Canadian Cancer Society would be appreciated. Online condolences may be made to hillsborofuneral@eastlink.ca. Completion of funeral arrangements have been entrusted to Hillsboro Funeral Home. The Royal Canadian Legion Charlottetown Branch #1, Charlottetown, will hold a Veterans Tribute service at the funeral home on Wed 23 Sep 2009 at 5:45PM. Peacefully with his family by his side at the Provincial Palliative Care Centre on Saturday, June 2, 2018 of George Marshall of Charlottetown age 85 years. Beloved husband of Shirley (nee Buchanan) and dear father of Ken (Diann), Darlene (Danny) Birt, Gary and Lorie Marshall (Melvin Wakelin). George is also survived by 8 loving grandchildren, Stacy (Mark) Cavanagh, Dawn (Mark) Axworthy, Jody (Alex dec.) Birt, Jamie Marshall, Trent (Ashley) Birt, Sarah (Lucas) Younker, Leah Weeks (Brad Robertson), Matthew Weeks; great grandchildren Jenna, Kennedy, Cole, Kiley, Ella, Dylan, Aiden, Morgan, Haley and Charlea. He is also lovingly remembered by sister Doreen Huggan (Tom Bambrick dec.), nephew Lester Huggan (Sylvia) and many nieces and nephews. He was predeceased by his parents Horace and Hilda (Muise) Marshall. Resting at the Hennessey Cutcliffe Charlottetown Funeral Home until Wednesday, then transferred to the Church of the Most Holy Redeemer for funeral mass at 10 a.m. Interment to follow in the Roman Catholic Cemetery, Charlottetown. Visiting hours on Tuesday from 4 to 8 p.m. Branch #1 of the Charlottetown Royal Canadian Legion will hold a Veteran’s Tribute Service at the funeral home on Tuesday at 3:45 p.m. The Holy Redeemer Knights of Columbus will hold a prayer service at the funeral home on Tuesday at 8 p.m. All Knights are welcome. If so desired memorial donations may be made to Diabetes Canada (PEI). Online condolences may be made at www.islandowned.ca. Veteran of Second World War. Ronnie passed away at the Garden Home, Charlottetown, on Saturday, March 15, 2014. He was born in St. Peter’s Bay on November 4, 1918, and his family moved to Morell around the time of the Second World War. He enlisted in the army when war was declared and was a member of tP.E.I. Highlanders Black Watch Regiment. During the war he was stationed all across the country from B.C. to Newfoundland. Ronnie was a gentle, quiet, hard-working family man who never wanted to be the centre of attention. But all that changed when he stepped on a rink, where he was a fierce competitor and one of the most talented amateur hockey players of his era. Many people felt he could have played in the NHL had he wanted to; which might be true because while playing with the Canadian Army team during the Second World War he played on a line with two NHL players. Ronnie’s talent and artistry were not limited to the ice. During his 40 years as a welder with Proud and Moreside he designed and built numerous intricate ornamental iron installations all over the Island. We are filled with gratitude to have been so fortunate to have had Ronnie as our father, grandfather, father-in-law, brother, uncle, and friend. Dear father of Beverly Mednick (Leo) and Kenneth McInnis. Loving grandfather of Sean and Jessica McInnis. Brother of Mae Grant (Eric, deceased) and Lyman McInnis (Anne). Lovingly remembered by his special nieces, Clara Lawton and Cookie McDonald. Predeceased by his loving wife, Lila (McGrath); by his parents, Joseph and Katie (MacDonald) McInnis; by his siblings, Art (Betty), Ethel MacDonald (Barney), Edith MacEwen (Doug) and Joseph (Joan). Resting at Belvedere Funeral Home. Funeral mass will be celebrated at St. Pius X Church on Tuesday at 10 a.m. Interment later in St. Theresa of the Little Flower Church Cemetery, Morell. To respect Ronald’s wishes there will be no visitation. The death occurred on Friday, February 1, 2013, of Walter Newton McInnis of Charlottetown, age 78 years. Husband of Kathryn (nee Morrison), father of Carol (Brad) Thomas and proud grandfather of Grace, Eden and Emma. Brother of Fred (Belle), Shirley Lynch, Bev (Basil) Chaisson, Barbara Wheeler, Gail Korsman, Donnie, Wayne, Robert (Sis), Patsy (Bobby) MacDonald, Norman (Linda), Susan (Roy) Aylward, Mary Lou (Ricky) Storey and George. Predeceased by brothers - Billy, Phillip, James and his parents - Vernon and Lena MacInnis. Walter's passing was peaceful due to the efforts of the staff and volunteers of the Charlottetown Palliative Care Unit and friend, Peggy. Resting at Hillsboro Funeral Home, 2 Hollis Ave., Stratford. The Royal Canadian Legion, Charlottetown Branch #1, will hold a service of remembrance at the funeral home on Friday, February 8, at 1:45 p.m. After the service, family will meet friends and acquaintances from 2-4 p.m. There will be no funeral service by personal request. As an expression of sympathy, memorial donations to Hospice Palliative Care would be appreciated. Peacefully at Wisperwood Villa on Tuesday October 25th, 2011 with his granddaughter Michelle McKearney by his side of Lyle V. J. McKearney formerly of Mount Stewart aged 86 years. Veteran of the Second World War. Beloved husband of the late Marjorie (nee Murray) McKearney. Lyle is fondly remembered by several grandchildren and great grandchildren; sisters, Eileen (Don) Veinot, Theresa Smith, Catherine “Kay” (Gerald) MacEachern, Carol MacPhee, daughter-in-law Sue McKearney and sister-in-law Geraldine (David) Young. Lyle was predeceased by his sons Robert and Gary McKearney his parents John and Florence (nee MacDonald) McKearney; sisters Helen Currie, Bernadette Walsh, Vivian Alderson, Pat Mullen; brothers, Gerald McKearney and Ivan McKearney. Resting at the Hennessey Funeral Home until 9:15 on Friday morning, then transferred to St. Andrew’s Roman Catholic Church, Mount Stewart for funeral mass at 10 a.m.
Interment to follow in the family plot at the St. Andrew’s Parish Cemetery. If so desired memorials in Lyle Memory may be made to the Alzheimer Society of P.E.I. or the Canadian Diabetes Association. Visiting hours at the funeral home Thursday evening from 6 to 9 p.m.
Royal Canadian Legion Branch #1 Charlottetown will conduct a Veteran's Tribute Service at the Hennessey Funeral Home at 5:45PM on Thursday 27 October 2011. At the Queen Elizabeth Hospital on Saturday, July 25, 2009 of Mr. William B. McLellan of Charlottetown in his 99th year (veteran of W.W.II). Beloved husband of Evelyn (nee Curley) McLellan. Survived by his daughter-in-law Susan McLellan of Chatham, Ontario; grandchildren, James (Linda) McLellan and Myles; great grandchildren, Jessica and Jennifer McLellan. Also survived by his sister, Tina Murnaghan. Predeceased by his son Wayne; sisters, Eleanor MacCallum, Marion Campbell, Margaret Aucoin and brothers Reginald, Edward and Earl. Resting at the Hennessey Funeral Home until 9:45 Tuesday morning then transferred to the Church of the Most Holy Redeemer for funeral mass at 10 a.m. Interment to follow in the Roman Catholic Cemetery. If so desired, memorial contributions may be made to the Heart & Stroke foundation of P.E.I. or the Queen Elizabeth Foundation. Visiting hours at the funeral home on Monday 2 - 4 & 7 - 9 p.m.
Royal Canadian Legion Branch #1 Charlottetown will conduct a Veteran's Tribute Service at the funeral home at 6:45PM on Monday 27 July 2009.